Create beautiful, flushed cheeks with our mineral blush. Colours so subtle and natural you’ll look like you’re glowing from the inside out! 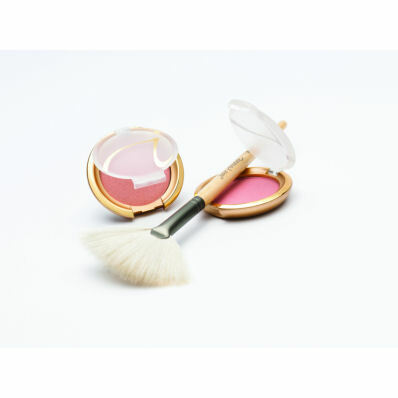 PurePressed Blush is free from chemical dyes and preservatives and non-comedogenic, based instead on natural colourings with anti-inflammatory titanium dioxide and zinc oxide to give an extra smooth finish and sun protection. Antioxidant pine bark extract, a natural anti-inflammatory, soothes redness and puffiness. An even more powerful antioxidant, pomegranate extract, reduces the free radical damage from sunlight. By using highly pigmented mineral-based shades, just a dab will do for long-lasting coverage. Create beautiful, flushed cheeks with Jane Iredale PurePressed® Blush. Colours so subtle and natural you’ll look like you’re glowing from the inside out! An even more powerful antioxidant, pomegranate extract, reduces the free radical damage from sunlight.